While a recent trend in the American skincare market, the use of oil as a skincare treatment dates back thousands of years, as ancient Egyptians, Romans and Aboriginal tribes have been slathering their skin with oils indigenous to their region in order to sooth, hydrate, and hide fine lines and wrinkles. 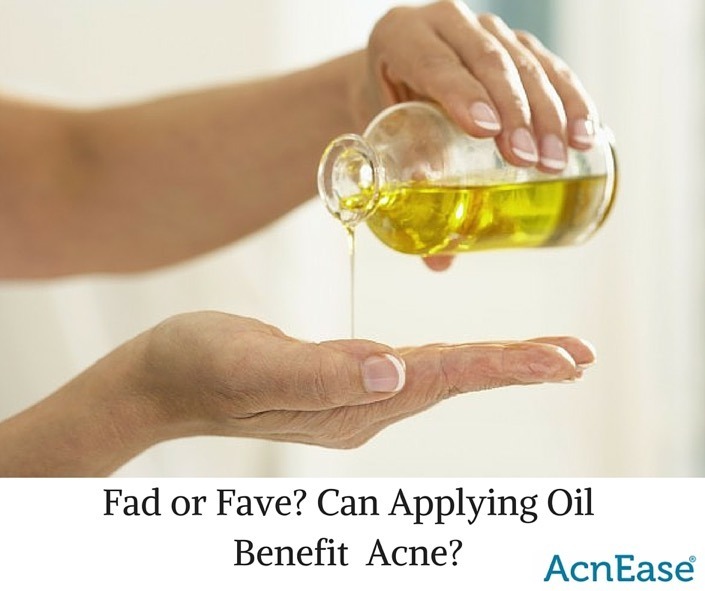 Because the overproduction of oil is known to lead to acne breakouts, many with acne-prone skin are careful to not just jump on this bandwagon. Understanding the difference between internally occurring oil, and topically-applied oil treatments is important when looking to treat acne-prone skin, and when you know what to look out for, not all oil is necessarily a bad thing. The cause of acne can be linked back to an internally-occurring hormonal imbalance, one that affects the sebaceous glands. When certain hormones, such as adrenaline, testosterone and insulin, to name a few, become affected by outside sources, they can trigger the glands to kick into overdrive. The function of the sebaceous glands is to produce sebum, an oily substance that travels along the hair follicle, or pores, from the gland to the surface, where it is used to protect and treat the skin, keeping it hydrated and allowing for its healthiest function. Our skin needs a certain amount of oil to remain healthy. When the sebaceous glands overproduce these oils, however, the pores can become clogged, and when combined with dead skin cells and debris from the skin’s surface, this can lead to breakouts. For this reason, many people want to remove the skin of its oils, which can actually result in an adverse effect, causing more sebum to be created in an attempt to replace the oils that have just been stripped from the skin’s surface. When we treat our acne-prone skin with harsh, drying chemicals, the skin can become dehydrated, making it difficult for sebum to reach the surface, thereby resulting in a clogged pore. Of the many benefits associated with oil treatments, hydration always tops the list. Additionally, oil can be used to smooth fine lines and wrinkles, treat sun damaged skin spots, and improve the overall tone and condition of the complexion. The right oils can make for a great, all-natural alternative to chemical acne treatments, and can even work to soothe angry red spots, and treat the scarring these bumps can leave behind. When it comes to oil, it’s important to know what to look for, as certain oils, especially synthetic types such as lanolin, can clog pores and lead to breakouts. Because the skin needs oil in order to function, finding the right essential oil for your specific skin could possibly yield wonderful results when applied correctly. Here are just a few of the best oils for acne-prone skin. Tea tree.Tea tree oil tops the list in terms of skincare benefits offered. Naturally antibacterial, tea tree oil works to unclog pores from the surface, and can commonly be found in infused astringents. Lavender. Just as the scent of lavender is known to calm nerves, essential oil of lavender can also be used to calm skin, especially skin irritated with breakouts. Neem. Popular in India, the oil of the neem plant is both anti-inflammatory and antimicrobial, offering irritated skin a gentle dose of hydration. Argan.Now widely used in many skincare and haircare lines available almost anywhere, argan oil is especially great for treating acne scars, brightening the pigment and evening out skintone. Rosemary.A natural anti-inflammatory, rosemary oil can calm skin, easing away redness. Rosemary can be used to stimulate the pores and improve circulation, resulting in a healthy glow. While certain oils can be used to treat the condition of acne as it appears on the surface of the skin, the true cause of acne starts within, and must be treated as such if one expects to witness lasting results. 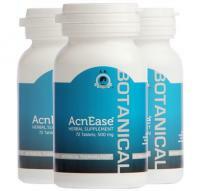 AcnEase® is an all-natural and effective way to treat acne at it’s source-at the overproduction of sebum by the sebaceous glands. Working as a buffer between the hormones and the sebaceous glands, AcnEase® uses safe, all-botanical ingredients, to ensure that just the right amount of sebum is produced-enough to maintain healthy skin function, but not so much that pores can become clogged. Not all fads are meant to stand the test of time, so if you find an oil that works wonders on your complexion, pair it with AcnEase® to ensure lasting results! We want to hear from you! Do you have an oil-based product you love? Are there certain types of oils you avoid when checking the ingredients of your skincare? Tell us in the comments below!